We Must Love Our Mother Earth……. Greetings friends! I’m hoping that you all had a wonderful weekend and Easter if you celebrated it. We had beautiful weather here, so much time was spent outside. My grandkids had a wonderful egg hunt and the adults had fun watching them and helping them etc. It was a marvelous day and joy abounded! I had a wonderful birthday as well and thank you so much for all the warm messages and well wishes! I tend to accept growing older as I like the wisdom that comes with it 🙂 My family remembered my garden witchiness and got me some lovely things for my garden…a bird bath, owl stepping stone and statue, garden journals and seeds. It was awesome! For many years now, Earth day has come the day after my birthday. I still remember it started in 1970 when I was in like 7th grade. It was mentioned but didn’t seem to be that much of a thing really. Maybe I was too young to care too much. But by the time I hit sophomore year in high school, it was becoming more acknowledged. Kids were encouraged to walk or ride bikes to school instead of taking buses. We were gathering in groups to clean parks, highways, collecting cans for recycling, to plant a tree or a veggie garden, etc. I still remember a group of high school kids in my neighborhood decided to walk to school. Now, this was about an 8 mile walk…not a small task that early in the morning. But we put on our comfy shoes at 6am and off we went as a group. We walked thru a beautiful winding road park to get there..made it to school on time and we were proud and excited about it. It became a tradition for all 3 years of high school. Fond memories. The sad fact is..all these years later, that though they are many of us who care so much for our Mother, that we are slowly killing Her. Factories, over population, over expansion into green spaces, too much trash, too much chemicals, fracking, oil spills, pollution of waters etc etc…is destroying Her. There are so many who live close to Earth, that see what’s happening, who do their share in their small way to try to heal Her, help her, work with Her and not against Her…but too many who don’t give a damn. Trees are torn down to put up buildings..then new trees planted? Does that make any sense? Grass is covered in chemicals to keep it perfectly coifed and weed free. Earth’s critters are constantly scrambling to find a place to live as we tear down their homes. It goes on and on…and I have no answers for it. It makes me cry really. Earth day is not one day of the year my friends. It’s EVERY day..at least it should be!!! Now I know I’m probably preaching to the choir here as they say. Any Witch/Pagan/environmentalist lives this every day…but as I Witch I know I can do better and work on it all the time. But we need to set an example. Earth day is a great day to do that. Talk about it…get a group together to go clean a park or a highway of trash. Plant a tree. Help your neighbors plant a wildflower garden. Get a rain barrel and a compost bin. Stop using chemicals on your lawn and use natural, earth healthy products! Walk or ride a bike when you can. 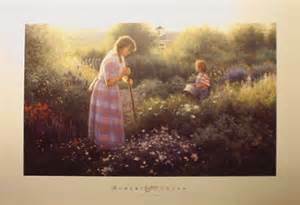 Most importantly….teach your children and grandchildren to love and respect Mother Earth as well!! The Elements….Earth, Air, Fire and Water….we work with them every day as Witches. Except for Fire…..those elements are ill. And it will get worse and worse if we don’t do something MORE and FAST to save them. Let’s protect Her, Heal Her, Love Her! Blessed be our Mother Earth……and blessings to all of you who are doing your part to care for Her!! *Thumbnail picture was on the internet from multiple sources. Love it! So happy that your Easter and birthday was awesome!!!! I agree with you, we should teach the next generation to take care of Mother Earth. It is crazy how they knock down trees only to plant new ones, it’s one thing if they need to come down because of safety concerns, etc but not just to destroy. Hi Jennifer 🙂 You are so sweet to always come read and comment. I love you! Yes…agreed..some trees have to go because they are dead….but tearing down good trees….just awful!! Love you….Happy Earth day! I remember the first Earth Day; freshman in High School, had our first sit in, had my picture in our local news paper for SOLV (Stop Oregon Litter and Vandalism) and the beginning of my awareness of being an activist in my own small way. Each day is Earth Day for me, from the first moment of the day with I turn to the quarters and the elements and give my gratitude. Happy Birthday and Happy Earth Day!! Wise Words from a Wise Crone! I too tear up when I see beautiful trees being cut down to build a new office building that will then sit empty because no one rents the offices; or when I go to put my trash in our dumpster and people have left horrible items for the maintenance staff to dispose of which means putting in a landfill where it won’t ever decompose; or when I have to throw recycle items in the regular trash because there is no close recycle place. I cry over so much inside my heart but it only sets forth my passion to educate and do what I can in my little section of the Forest! So happy you had a wonderful birthday! oh you are still so young my dear sister! Love you! Hi Sis….yes..me too. The waste is so sad, the not thinking and not caring. And I FEEL young LOL! Love you too! 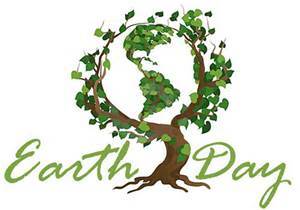 I remember the first earth day also….I was a senior in high school, the hippie wanna-bes that we were lol my class made a little park with a fountain, benches and lots of flowers and some flowering trees. I live in a city now….when I first moved here there was a beautiful patch of woods right behind me…lots of trees, a running brook, with wild life too, yes even in the city I would see rabbits, deer, partridge a few years back they decided that they just had to build homes back here and down came all the trees, I remember standing at my bedroom window and watching them bulldoze all these beautiful trees, pile them all up and burn them. All I could think of was if they were going to take all those trees down why not haul them away to be used for firewood later instead of just wasting all the warmth they could have given someone in need of heat. Most places will advertise that there is wood available, free to anyone who will haul it away, but not here, waste not want not? I just watched in disbelief. I’m glad to hear that your family took good care of your gardening needs for your birthday!! Sounds like you have a lot of fun ahead of you in the weeks to come. I have never had luck with outdoor gardening but I do have a houseful of house plants does that count?? lol Blessings to you and our Mother on this Earth Day!! I loved this, I only wish we lived closer and could enjoy tea/ gardening in person. Love you Sis! Hi Nancy! Oh I wish that too my Sister!!! Hugs and Love!